Are female entrepreneurs a rare phenomenon in the dropshipping industry? Not at all! We have previously shared the motivational stories of Kate and Victoria, our employees who experiment with online stores management. And today, we’re excited to show you a third-party feedback from another dropshipping business owner. Please, welcome Kitty from New Zealand in our blog! Hi! I’m Kitty, a web designer from Christchurch. I love travelling and exploring new things, and one of my deepest interests is fashion. Actually, that’s what lies in the foundation of my business. I’ve been running a dropshipping store that sells apparel and accessories for about 3 years now. Basically, at some point of my adventurous life, I decided to set up a clothing website, and got really passionate about this idea. To be honest, by the moment I started, I had absolutely no background experience or knowledge in eCommerce, trade, or any other areas of online entrepreneurship. So, I started researching the options. Why did you choose the dropshipping business model? Mostly because it’s quite easy to set up – plus, the minimal time is required to manage the store daily. And of course, not having to manage stock is a big bonus. What’s the role of AliDropship solutions in your business journey? 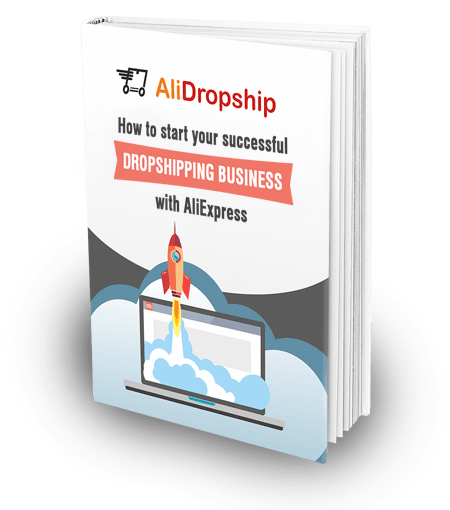 When I was learning about the dropshipping business and the ways to make it more manageable, a friend of mine has introduced me to AliDropship. 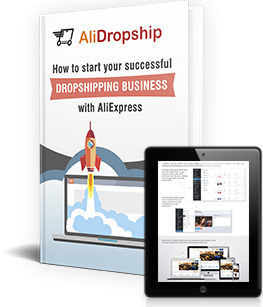 I’ve picked AliDropship for WooCommerce because it allows more flexibility. Besides, for a fashion-related store, it’s important to have a signature and a really unique look. Three years later, I am confident I made the right choice. 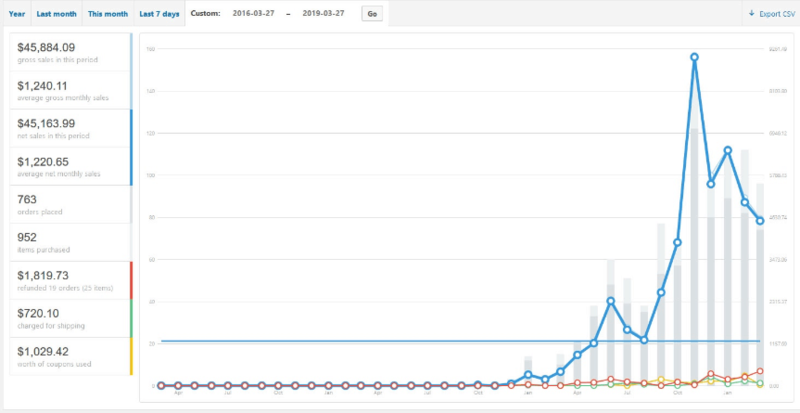 It’s safe to say that my business success is 100% based on AliDropship. I can still remember the first sale I made with it. It was so exciting! Most surprisingly, it happened really soon after I put the store into operation, and honestly, that was the best thing about this first milestone. I felt really happy as I understood that my product choice strategy was right, and I was pleased that customers wanted to buy the products that I have selected. To choose items and suppliers, I just go through AliExpress offers and take notes on the products that I personally like. Then, I check the reviews and the stores’ rating to decide if the product actually meets my standards. While setting product prices, I don’t apply any formulas to the items in bulk. Instead, I think of the best price for every separate product, depending on what I know that type of item sells for locally. Of course, I also make sure that it is a good value for customers. How do you promote your store? I have a whole set of advertising activities! There is search engine optimisation, online advertising through AdWords, Facebook marketing, and even local print advertising. On average, I spend about $650 on them monthly. Online advertising proves to be the most efficient for me. I don’t have any special parameters that, in my understanding, define my target audience. Simply speaking, I focus on the people who have the same taste for fashion as I do. So, if I like a product, it’s really likely that my customers will like it as well. Basically, I’ve built a large part of my business on personal criteria. 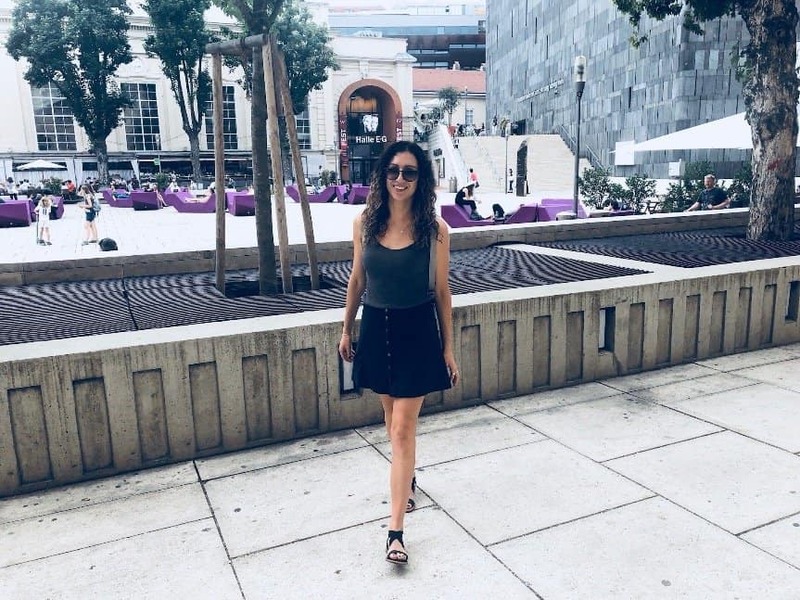 What does it take to be a successful female entrepreneur in dropshipping? To begin with, I have registered my business officially here, in New Zealand. It means that I’m a rightful business owner who pays taxes and sticks to the local law. And speaking of the daily business routine… Well, every day, I spend 1-2 hours to keep my business running. I invest lots of time and effort into product sourcing: as I already mentioned it, I select items really carefully. Plus, I do a lot to maintain the website. Sometimes, there are some technical issues (server or plugin-related) that I need to resolve, so I get involved into debugging them, figuring out what is happening, and finding alternative options to make things right. And of course, there is customer service! I don’t have any Virtual Assistants or other helpers, so it’s up to me to deal with it. I reply to customers very promptly to give them good service, but sometimes their item has not turned up on time, so I follow that up for them. Sometimes the product is faulty or the wrong size, so I liaise with them to resolve that – usually they would return the item to me and I would order another size, or refund if the item is faulty. It’s a standard procedure to go without returning faulty items to AliExpress sellers: it’s really costly, and the suppliers don’t ask the order back if it was cheap (less than $50-$100). So, on my website, I have specifically written my personal postal address in the ‘Returns’ field. I really prefer that my customers deal with returns with my personal assistance, and I offer them this service so that they feel comfortable to be able to make returns locally. Plus, for me, it’s an opportunity to actually see and try these items IRL and remove them from my store if they have a poor quality overall. On the bright side, half of my personal wardrobe is now made up of items that have been returned because of wrong size, etc. 🙂 A bonus for me! I love having this business as a side venture alongside my main job. It helps to fulfill my passion and is an outlet for creative expression. My friends and family think I’m doing great and they ask me regularly how things are going. I see a great potential in this venture, and in the near future, I want to grow this store and open another one, with different products. Do something that you are interested in and passionate about, and then it will always be enjoyable! Thank you, Kitty, for such a thoughtful feedback! It’s truly inspiring to see a deliberate, personal, customer-oriented business approach, and we hope it will motivate other female entrepreneurs to share their success stories as well – or make their first steps into their first dropshipping journeys ever! They fear the possibility of losing customers who might switch to AliExpress, and they don’t want other entrepreneurs to copy their designs, promotional strategies, and product offerings. (Nonetheless, in this particular case, Kitty was kind enough to go as far as to share her store niche, which is quite risky). Kitty did not share her NICHE, she just said, it is fashion, which is a very broad term anyway. With her story, I am just wondering, perhaps it is good to dropship to a segment/zone. In that way, it is easier to handle paid returns back to one’s address, and of course the local advert too. And you can deal with local stores prices/competition too. I have ran my shop for over a year now and yet to make sales. Please what am I doing wrongly? Hi, thank you for your question!